Let’s Protect T-ara! What is T-ara in people’s eye? It has been seven years since T-ara debuted… These seven years have not always been a smooth one. Whether big or small issues arise, even when countless events happened; there hasn’t been any more anxious or difficult time than this. Perhaps it is because there is a certain insecurity towards the members that say, “there is nothing else after this”. The agency is treating T-ara as though ‘there’s nothing left for them’ anymore. At the previous Japanese fan-meeting; after the event, Japanese fans have been talking among themselves: “ehy did they do this show?” “Who planned this show?” “Did T-ara really come up with doing this show?” It just seemed as though the show T-ara had just done was full of nothing but the unfortunate fact that no one was expecting it. In a singer’s life, is there anything left besides looking forward to the next time they’ll see their fans? Don’t they always try to come out? Don’t they always ask when their next show will be? Rather, we often ask, what can I look forward to tomorrow? So if people have lost that sense of anticipation towards T-ara, does T-ara have anything left at all? But let’s not dwell on the issues about the fan-meeting; it is water under the bridge. There’s nothing left to do but sigh after what their talent agency did following the fan-meet. Concert ticketing was released out of the blue. They decided to book the outdoor space of a hotel without proper stage or sound equipment. Not to mention the ridiculously absurd ticket price (where fans are served on a first come, first served basis at $165.00 per ticket). They didn’t even bother to post an announcement on the official fan cafe beforehand, nor on the official channel either – they simply just started selling tickets. Even when the fans knew everything was final – we rejected the idea. The fans pleaded that the venue be changed and if not, have the concert cancelled. It was to that point, that there was no other option but to make such demands because of the preposterous planning, even if it meant cancelling the Korean concert that we have all been yearning for. But this is where problems started to occur. 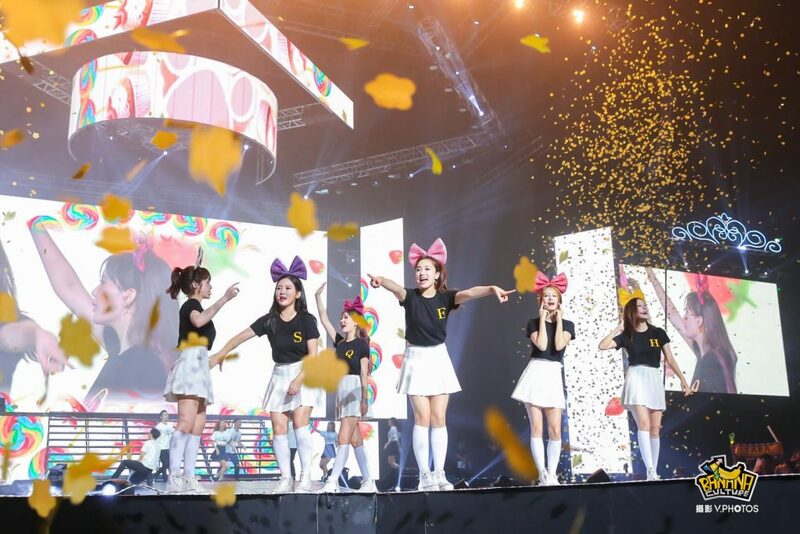 A notice was posted on June 20th via the official fan cafe citing “October 8, Korean Concert; October 9, Fan-meeting.” Although the official Japanese site which posted a link to the tour package cited the same post, the agency posted against it saying the packages are completely independent from T-ara. The fans would like to request from MBK a clarification and explanation with regard to the concert and fan meeting as well as an apology for the Japanese tour package incident. We look forward to what T-ara will bring tomorrow. We want to spend more time with them, and share that time with them. 하나를 위한 모두.. 모두를 위한 하나..
We want to protect T-ara’s future. We want to relay our sincerest thoughts to the T-ara members. We believe that T-ara, too, will protect their precious fans. Fans protecting T-ara, T-are protecting the fans! We must show them our unity! We must strive to make sure that MBK listens to our requests and hears our voices! Protesting and posting on Twitter would also be beneficial; whatever the method is, we must do it together! I am the Founder and Owner of Diadem Forums and been QUEEN's since April 2009. I enjoy listening to music of different languages and genres, fashion, photography, and film. Let's get to know each other! Follow me on Twitter and Instagram, @chalicesantiago!